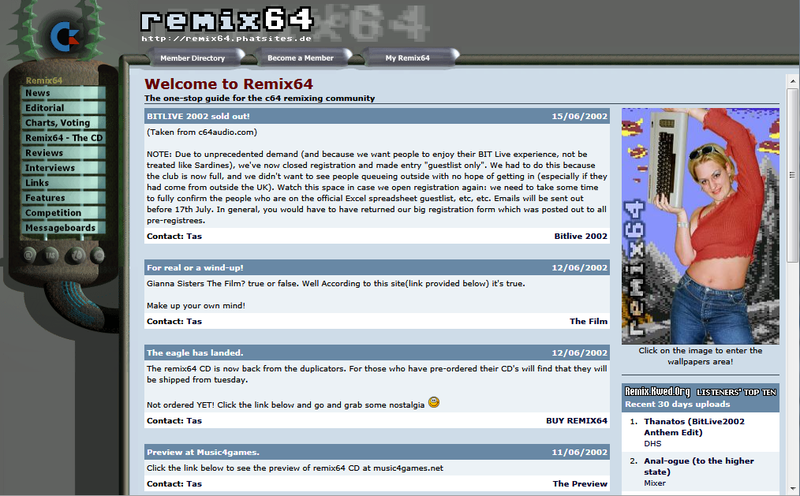 The first offical incarnation of Remix64 was a steampunk styled, 3d rendered, frame based interface. The hard coded, image based menus were pretty inflexible, because adding a menu item was associated with a lot of manual work. 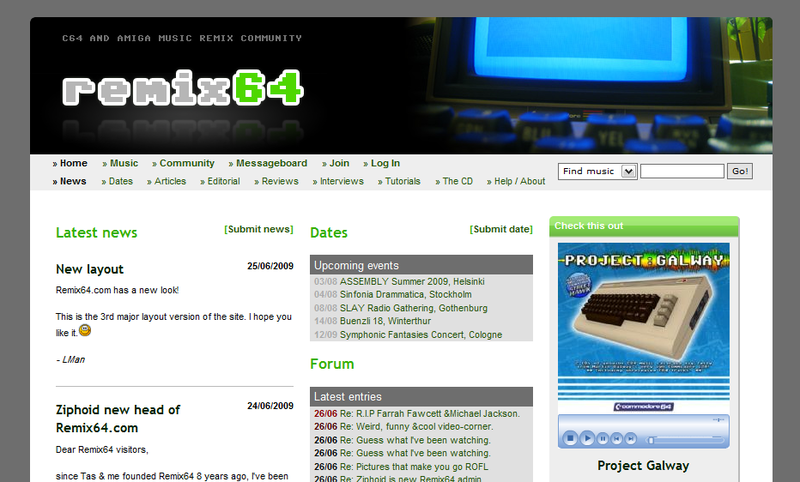 The second design featured c64 screen blue and a less playful user interface. It marked the end of the frame based approach. 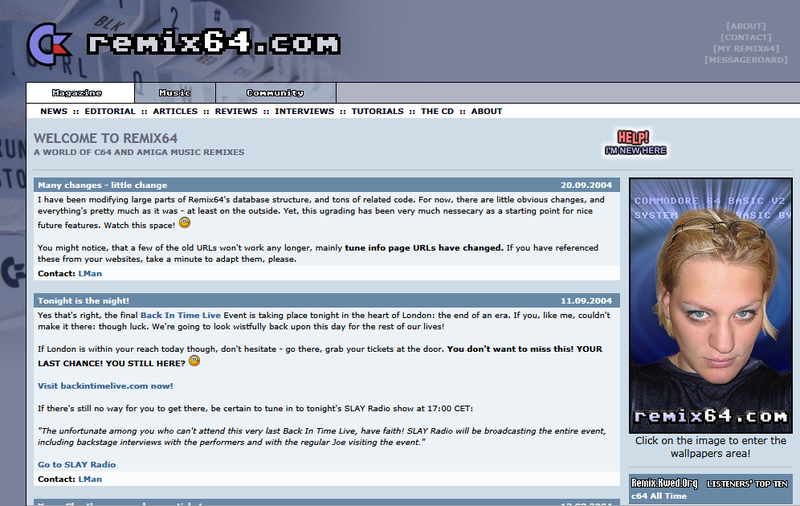 There were special versions online, for example a BITLive London variant and one for the release of Syntax Era. A fresh modern look and a lightweight, straight forward, template based, fully stylable and fully automatic user interface are the features of the 3rd version. 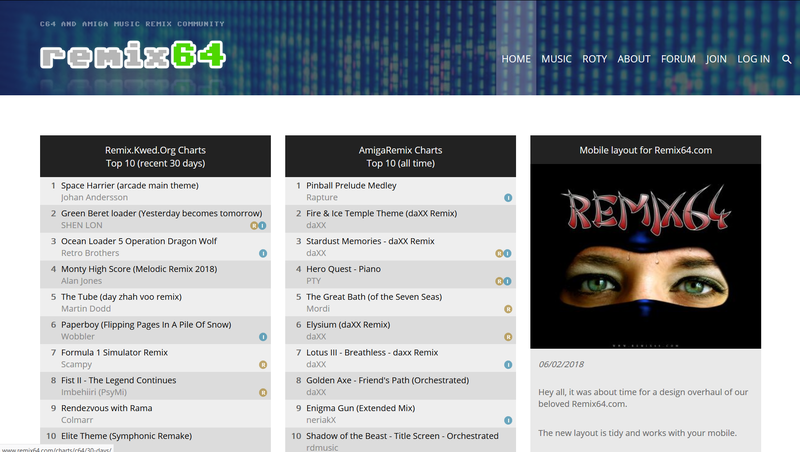 A clean and mobile friendly user interface.